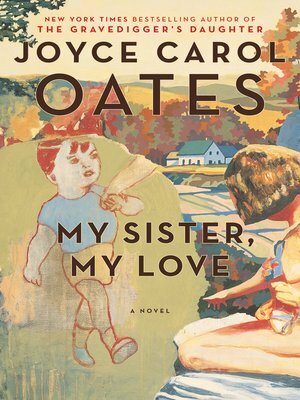 New York Times bestselling author of The Falls, Blonde, and We Were the Mulvaneys, Joyce Carol Oates returns with a dark, wry, satirical tale—inspired by an unsolved American true-crime mystery. "Dysfunctional families are all alike. Ditto 'survivors.'" So begins the unexpurgated first-person narrative of nineteen-year-old Skyler Rampike, the only surviving child of an "infamous" American family. A decade ago the Rampikes were destroyed by the murder of Skyler's six-year-old ice-skating champion sister, Bliss, and the media scrutiny that followed. Part investigation into the unsolved murder; part elegy for the lost Bliss and for Skyler's own lost childhood; and part corrosively funny exposé of the pretensions of upper-middle-class American suburbia, this captivating novel explores with unexpected sympathy and subtlety the intimate lives of those who dwell in Tabloid Hell. Likely to be Joyce Carol Oates's most controversial novel to date, as well as her most boldly satirical, this unconventional work of fiction is sure to be recognized as a classic exploration of the tragic interface between private life and the perilous life of "celebrity." In My Sister, My Love: The Intimate Story of Skyler Rampike, the incomparable Oates once again mines the depths of the sinister yet comic malaise at the heart of our contemporary culture.